We pleased to announce the release of its newest mind-warping action puzzler, free download Gearz Game to have a try ! Gearz Game is an action-puzzler like no other! 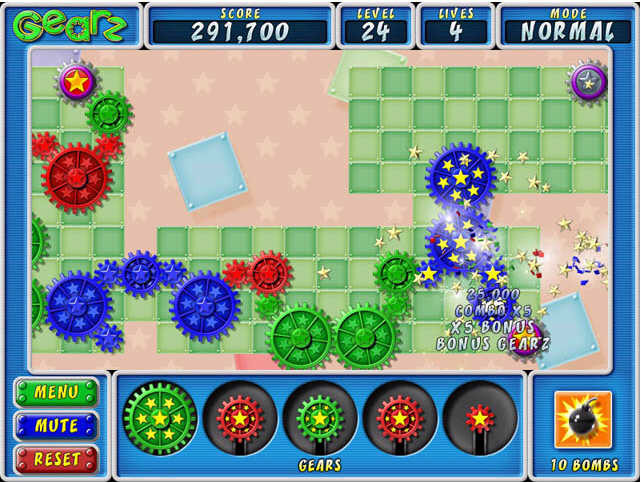 Interconnect the different sizes of colorful rotating gears across scrolling levels to spin up the Goal Gear. Create Combos of matching color gears and spin Bonus Gears to earn huge bonuses. Blow away unwanted gears with Bombs to help you out of a pinch or take advantage of special Power-Up Gears to increase your score!